There is a great misconception many people believe that could have a huge negative impact on their health. The belief is this: that the mouth is separate from the rest of the body. 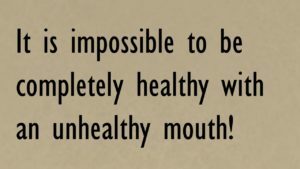 Some people mistakenly assume that since they see a dentist for the health of their mouths and a doctor for the health of the rest of the body, that the two are therefore unrelated. 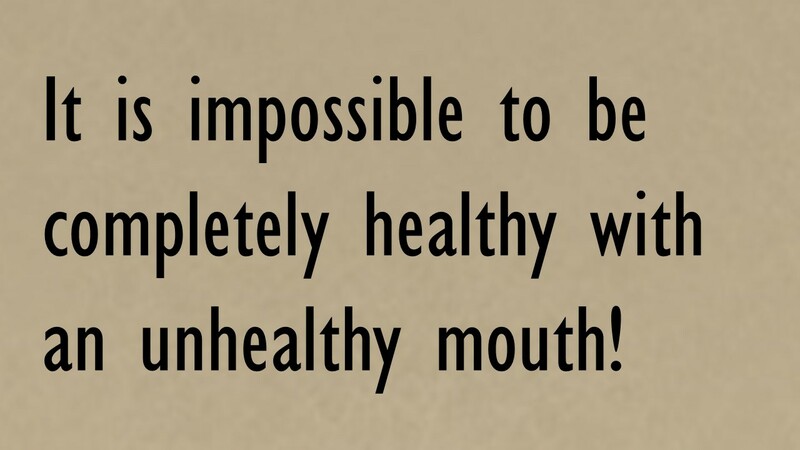 The reason this assumption is so dangerous is that it leads some to think that the health of the mouth does not matter, that it doesn’t affect the rest of the body. Nothing could be further from the truth. It may sound overly simplified to put it this way: the mouth is part of the body. In fact, it is the gateway to the body. The historical separation of the health of the mouth (dentistry) from the health of the rest of the body (medicine) has led to the unfortunate myth that one is more important than the other, or that they do not affect one another. Your mouth is not like Las Vegas; what happens there does not stay there. How Does the Mouth Affect the Rest of the Body? Of course, what you put into your mouth has a great impact on the health of your overall body. The effect of diet and nutrition on health is well established. And that’s not what we are talking about. We are addressing the issue of the health of the mouth, and how it affects the health of your whole body. Heart disease kills millions of Americans every year. 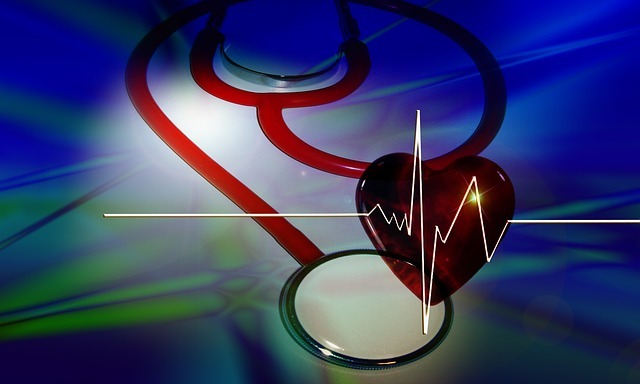 Patients see primary care doctors and cardiologists to help them address problems like high blood pressure, hoping to lower their risk for heart attacks and strokes. Doctors often recommend diet and exercise changes to lower cardiovascular risk, and they put many patients on prescription medications. The important risk factor that doctors often miss: Chronic gum disease. Scientific research shows that the risk for coronary heart disease increases by one and a half times in patients with chronic gum disease (periodontal disease). The risk for fatal heart attack is two times higher in patients with gum disease than in those with a healthy mouth, and stroke risk increases by three times. If you have cardiovascular problems and have not yet checked with your dentist, it is time to find out if untreated gum disease could be complicating your heart problems. Another disease affected by the health of your mouth is diabetes. Diabetic patients may already know that their diabetes puts them at a higher risk for gum disease. What many people do not fully appreciate is that chronic periodontal disease actually has an effect on your blood sugar. 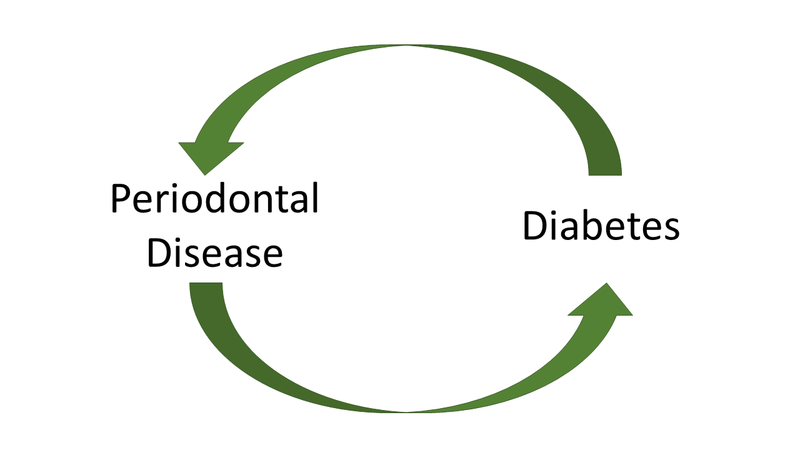 This can lead to a vicious cycle: Untreated gum disease makes it harder to control blood sugar, and uncontrolled blood sugar makes it harder for your body to fight the infection of periodontal disease. So the gum disease gets worse, and the blood sugar gets worse. 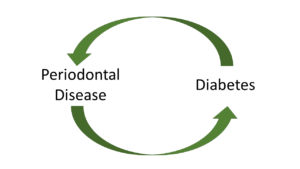 The best approach to stopping this cycle is treating both your diabetes and periodontal disease. Cancer is such a scary word because it conjures the image of a disease that spreads throughout the body and kills you. And that is a healthy fear because it is exactly what cancer does. 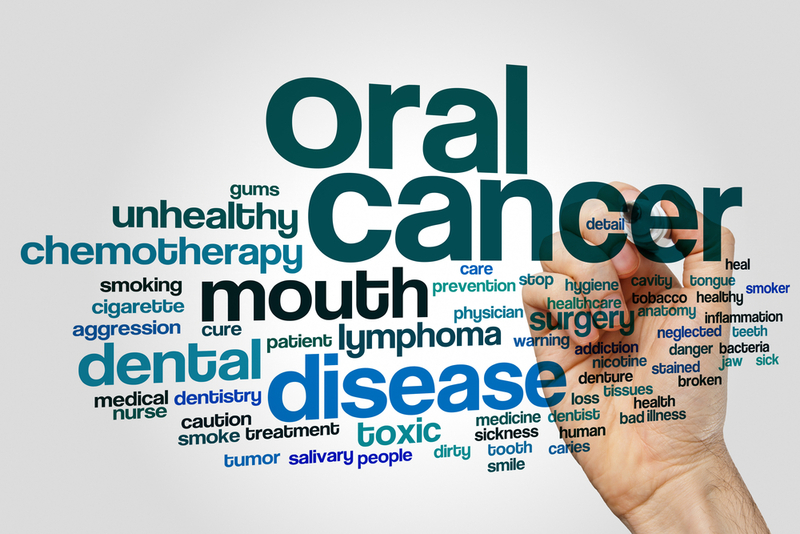 Oral cancer spreads to other areas of the body when you don’t catch it early. Early detection is the key to beating oral cancer and preventing its spread to other parts of the body. At Designer Smiles, Dr. Ann and Dr. Lauren, as well as both of our dental hygienists, do thorough oral cancer screenings as part of every dental evaluation. 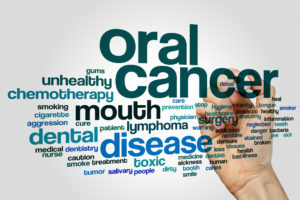 It’s important to understand that oral cancer is changing, and no longer just effects older tobacco and alcohol users. With the spread of the Human Papilloma Virus (HPV), oral cancer now affects more young people with no history of alcohol or tobacco use. This means everyone needs oral cancer screenings on a consistent basis. Inflammation is getting a lot of press nowadays because scientists and doctors understand how huge its role is in almost every disease that affects the human body. Specific to the mouth, when gum disease goes untreated, a state of chronic inflammation develops. The bacteria present in dental plaque and tartar give off toxins. These toxins under the gums produce an inflammatory response by the body. The red, puffy, bleeding gums of gingivitis are evidence of this inflammation. When you do not undergo the necessary dental treatment to stop this inflammatory process, it becomes chronic. This chronic inflammation sets off an imbalance in the body’s immune system. Your whole body cannot be healthy if you have chronic inflammation present in any one area. Some studies even show that chronic inflammation anywhere in the body increases your risk for multiple types of cancer. The mouth is full of bacteria (over 300 species to be precise), and while many of these are not dangerous, others cause dental diseases like cavities and gum disease. Both cavities and gum disease are infectious diseases, involving the spread of dangerous bacteria. Again, many people assume these dangerous bacteria and the infections they cause stay in the mouth. Unfortunately, they do not. When untreated, they grow and spread. In severe cases, dental infections can cause death. Every once in a while, we see a sad news story shared on social media about a “healthy” 30 year old husband and father who died from a tooth abscess. We shouldn’t be shocked by this. Tooth infections, from both cavities and gum disease, can spread to the airway, bloodstream, or brain. Don’t ever make the mistake of assuming that it’s “just a toothache”. It could cost you your life! Do You Have Specific Questions about How Your Mouth is Affecting Your Health? Dr. Ann and Dr. Lauren can answer any question about how your oral health is affecting the rest of your body. Call Designer Smiles today to schedule a consultation. We want you to be as healthy as possible!